Home › Client Testimonials › Worker’s Compensation – What actions can cause a worker’s compensation claim to be rejected? Many times employees do not know what they should do if they are injured on the job. The State Board of Workers’ Compensation have provided an employee handbook that has many suggestions. These guidelines and suggestions are helpful, but nothing is more important than hiring a good worker’s compensation lawyer if you have been seriously injured on the job. Attorney Richard Griffin has seen many worker’s compensation claims that would have had a big settlement value get off track when the injured worker tries to represent themselves in their worker’s compensation claim. Safety Policies: It is important that employees follow the safety policies of their employer. If the injured worker is injured because of a violation of a company safety policy, then this could be a valid defense to your worker’s compensation claim. An example might be failing to wear safety helmets in a work area that requires one. Notice Requirements: Georgia worker’s compensation law requires that the injured worker report the accident and injury to their employer within 30 days of the accident. 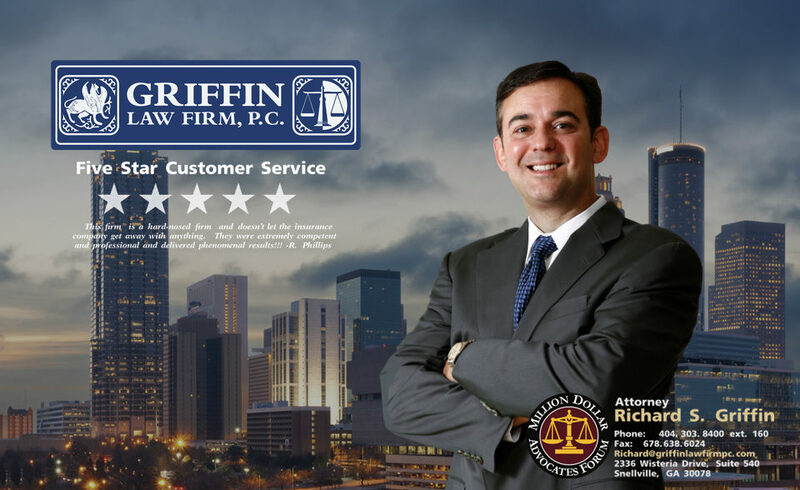 Attorney Richard Griffin has found that the best notice is written notice followed by seeking authorized medical treatment as soon as possible after the on the job accident. Medical Treatment Compliance: Georgia law requires that the injured worker comply with the medical treatment recommendations when the medical treatment or rehabilitation recommendations are reasonable. Repeatedly missing doctors appointments can result in a judge suspending your weekly income benefits. Employee Willful Misconduct: If an employee is injured due to the willful misconduct of the employee, then the claim is usually denied. Injury Due to a Fight for Personal Reasons: If an employee is attacked and injured on the job for personal reasons that are not related to the job, then your claim will usually be denied. If an employee is injured in an assault or attack that was due to a robbery of a fight over company issues, then you can have a compensable worker’s compensation claim. Notify the Adjuster when you move: It is important that the adjuster and your worker’s compensation attorney knows your correct address. If they do not, then your weekly checks and other important correspondence may not get to you. Death Benefits Notification: The dependent spouse should notify the adjuster if he or she changes address or remarries. If you remarry, then you are no longer eligible for death benefits. Light Duty Job Offers: If an injured worker is on light duty and is offered light duty work by their employer, then they must attempt the light duty work or the weekly income benefits may be stopped. Worker’s compensation lawyers often have to request hearings to get the weekly income benefits recommenced after a light duty job return to work has been attempted and failed. Statute Of Limitations for Filing a Worker’s Compensation Claim: Generally you must file a WC-14 Notice of Claim within one year of the date of the last authorized medical treatment or within two years of the last date you have been paid a weekly income benefit claim (temporary total disability or temporary partial disability benefits). If you do not, then your worker’s compensation claim may be barred. Hiring a good worker’s compensation lawyer makes sure your claim and your rights are protected. Statute Of Limitations for Filing a Death Benefit Claim: The dependent spouse and the dependent minors must file for death benefits within one year of the death of the injured employee. Mileage and Medical Reimbursements: The injured worker must submit her mileage and medical expenses for reimbursement to the adjuster within a year of when they are incurred. Drug Test: If the injured worker refuses to take a drug test when requested after an on the job accident, then a presumption is created that the accident and injury was due to the use of alcohol or drug use. Good worker’s compensation lawyers can over come this presumption when it can be proven that the use of drugs or alcohol and balance and coordination was not a factor. What are some of the Worker’s Compensation Challenges? 1. Medical Treatment Denial: The adjuster won’t authorize the medical treatment or diagnostic testing. 2. Income Benefit Denial:The adjuster refuses to pay your weekly income benefits even when you can’t work. 3. Low Settlement Offers: The adjuster won’t settle my claim or is making a very small settlement offer. We will gladly discuss your case with you for free if you call us or send your case information to us at contact us form. ‹ How can you get a personal injury settlement of more than the policy limits?